​​How does someone hear  “hamburger please [in French]” and bring you a plate of very rare ground beef without a bun, pickles or ketchup. Yuck! As I (11 year old Josef) pretended to eat my first lunch of the trip I thought, “maybe this is how the French are so thin. French food in France is gross!” That theory was nullified at dinner, which was one of the best meals of my life. Now I was confused again. 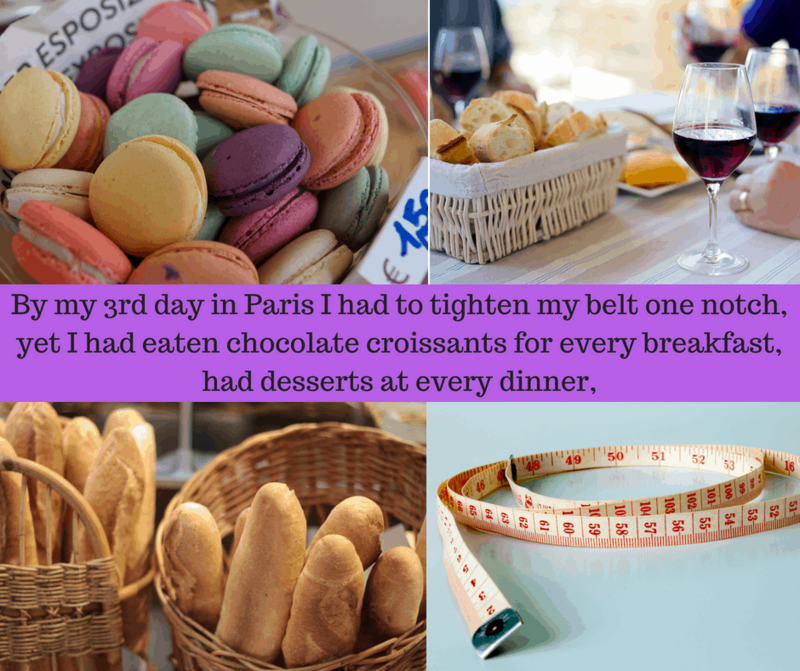 By my 3rd day in Paris I had to tighten my belt one notch, yet I had eaten chocolate croissants for every breakfast, had desserts at every dinner, and learned to stop ordering bloody ground beef for lunch. This was 1992. The summer before this trip I’d been voted “best breasts” at my coed summer camp. My pediatrician had been on my case about losing weight since 1988. At home I was sneaking ice cream so my parents wouldn’t lecture me about my weight, yet, in Paris, I was eating dessert at least once a day and losing weight. Was this because their food has fewer preservatives or GMO’s? Because their beef is grass-fed? Because their wheat has less (or higher quality) gluten? It’s one word: snacking. Rather, it was the complete lack of snacking. It’s not rocket science: The more often you eat the more calories you eat. The best data we have on what changed about American eating habits during the obesity epidemic is that men eat 268 more calories per day, and women eat 143 more calories per day. For men, 90% of this increase has come from snacking. For women 112% of this increase has come from snacking? How can it be 112%? Because of nonsense like “eating after 6pm makes you fat.” The average woman now eats a smaller dinner than they did in 1977, so the extra snacking has replaced the calories “saved” at dinner and added the surplus on top. One of the simplest lifestyle (not diet) ways to reduce you calorie intake (lose weight) is to eat meals, not snacks. If you found this interesting we have a free nutrition guide for you. Last, but not least, if you feel like you could use jumpstart in your training, nutrition, motivation/accountability take a look at our 10 Day Spark Program.